Another year of living is about to begin, with promises, challenges and precious moments for each of us. How exciting that brand new calendar is, with all those spaces waiting to be filled chock-full of notations that show just how fulfilling (and full!) life is. Before we take those first eager steps into 2008, Scrapbooker’s Club House would like to pay tribute to some creative people who have inspired us, through their example, to scrapbook life’s moments with more imagination, candor and charisma. They’ve encouraged SBCH members to delve into new techniques; meet challenges; participate in online crops, digest a tip of the day; go through family heritage photos, take a risk with an unusual colour, or consider how a new quote could be used on a layout. They’ve set the bar high with their honest journaling and love of capturing life’s little moments and sometimes expressing feelings about personal or more “challenging”events. They’ve extended the welcoming hand of friendship to new members, shared project ideas, taught online classes, and asked questions that made us think. Their varied personalities, scrapbooking styles and creative strengths helped each one shine in special ways, and in turn, enhanced our learning. 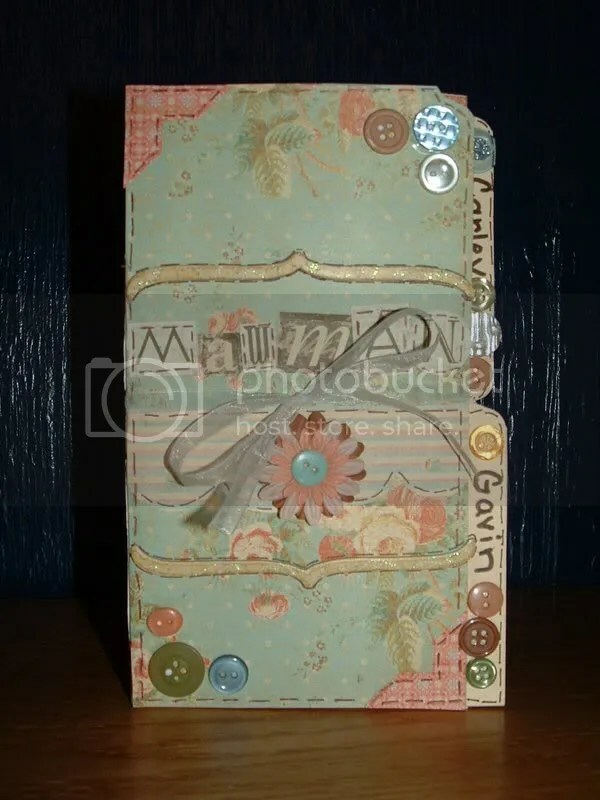 They’ve helped us further recognize that scrapbooking is a joyous artform, expressed in many ways. Kudos to these talented, sharing people: the SBCH Design Team and Guest Design Team Members of 2007. A warm and sincere “Thank you” to our “Boss Lady” Nicole, for premium SBCH customer service, beautiful scrapbook layouts, and her fabulous work in putting together the awesome kits that inspire our creativity! We really appreciated the inspiration shared by all of the talented Guest Designers we welcomed over the past year! You can see all of their wonderful creations in the “Guest Designer” folder in the SBCH gallery! “Bravo!” and thank you from SBCH for the creativity, talent and love of scrapbooking that you have shared with us. What an incredibly creative year! Jennifer, Cristin, Caroline, Ali, Noella DT coordinator, and Nicole Da Boss Lady! In September 2007, SBCH had its THIRD Birthday! The SBCH Community celebrated with a Birthday Bash Crop!! It lasted the whole weekend! What a party~ Lots of croppin’ got done, layouts were shared and of course some generous, cool prizes were won, too. We even brought virtual “snacks!” LOL. Hey, they’re calorie free, right?? Then in November, we had a WEEK LONG Crop!! What a brainwave that was-a whole week to do classes, make n’ takes, play scrappy games, make friends and create new SCRAPBOOK LAYOUTS! It was a blast, thematically based on all the colours of the rainbow. Tons of talent was shared, with fun, good cheer and prizes enjoyed. New friendships were forged and older ones strengthened. Every day brought new challenges and fun games, not to mention opportunities to scrap your heart out. On Saturday, no new challenges were given out: that was the day where everyone had free-rein to catch up on the challenges they still wanted to do, and get some more croppin’ done! There was SO MUCH fun all week. Here are a few major highlights, complete with photos, of COURSE!!! were altered based on Heather’s instructions, and they were oh-so-beautiful! WOW! Elisha’s Scrapbook Uno Game, Nadine’s “Roy G. Biv” colour scavenger hunt and the Colour Word Jumble were games many people participated in- what a blast! Thanks a million for the fun, Elisha, Nadine and Nicole and all of our other game hostesses! !They were a lot of FUN. 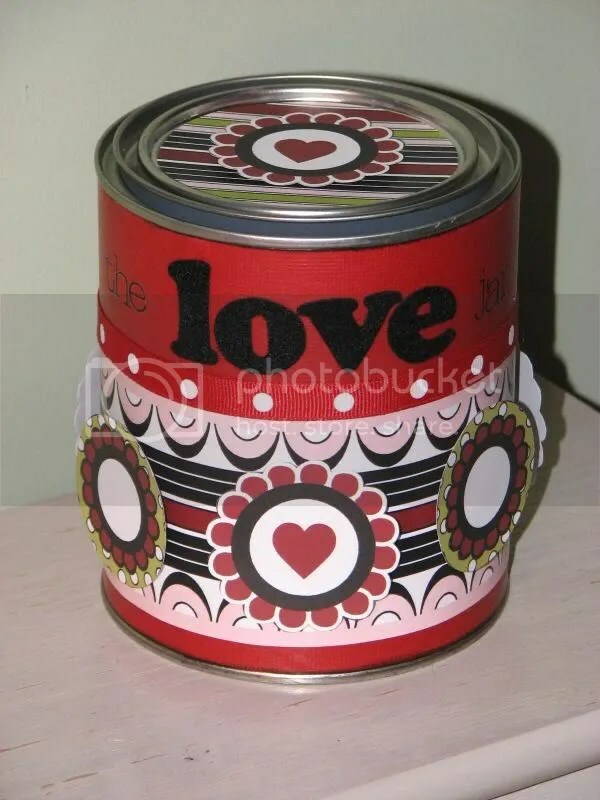 In response to her challenge, Tammie created this awesome jar . Nicole asked “What’s your sign?” in her challenge to SBCH members. Since colours are associated with the Zodiac, each person was asked to create a LO based on the colours of her sign. This LO was created by Sylvia who is a picses Way to go!! The crop’s Black Friday card challenge, based on a sketch created by design team co-ordinator Noella, resulted in several beautiful creations such as this one by SBCH Member Sherry. Super! I am so happy to be part of an awesome community! You all rock! Such an amazing community in which to share a love of SB’ing. Happy New Year all! Wonderful entry and I look forward to seeing what 2008 brings!